If your knee pain is chronic, whether from arthritis or several ACL injuries, you may refrain from sports that feature a lot of running or jumping because of the impact they have on your knees. You may even avoid going to the gym for your regular workout for fear that you may aggravate your condition with the wrong exercises. This doesn’t mean, however, that you must sit on the sidelines forever, relegated to life as a spectator. Los Angeles orthopedic surgeon Dr. Steven Meier and the rest of the staff at Meier Orthopedic Sports Medicine have several suggestions for sports and/or exercises that can be great alternatives to those who put so much wear and tear on their knees. Jumping in the pool, lake, or ocean to play water sports is one of the best ways to get or keep fit without worsening your knee pain, even if you’ve had multiple ACL injuries. Studies consistently show that regular water exercise is good for you, as it improves both your mental and physical health as well as decreases your risk of chronic disease. For example, simply walking in the water can help because it doesn’t put much stress on your knees. But there are plenty of other, perhaps more exciting water sports to get your heart racing and blood pumping while also helping your knee pain. This might not be a surprise, but it’s still worth mentioning. If you swim at the local pool, you’ll get a great workout and keep in shape while not exacerbating your knee pain. From the backstroke to the butterfly, swimming helps strengthen and condition all parts of your body without causing adverse stress on your knees. If you’ve never played water polo, you’ll be shocked at how difficult it is; yet, you’ll be amazed at how fit you’ll look, and how little knee pain it causes. 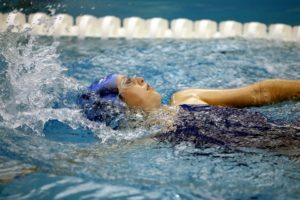 A word of caution, however – sometimes, the sport causes you to push off the bottom of the pool, so be careful that you don’t do so too energetically. While rowing isn’t exactly in the water, it still is a low-impact water sport. From a seated position, rowing requires you to use your upper body and arms to move the canoe or kayak across the water. If your orthopedic surgeon has advised you to keep your knees immobile or if you have too much pain, then competitive rowing might not be a good idea. On the other hand, if your knees are good enough and you’re looking for a good workout, rowing can be a good option. A word of recommendation, though – when you push backward, don’t push off with your toes, as this will put a strain on your knee. Instead, use your leg muscles by pushing off with your entire foot. Although water sports are ideal if you have knee pain, there are land-based sports that you can indulge in that keep you fit without making your knees feel worse. 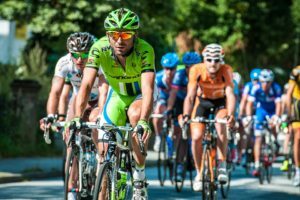 Perhaps the most popular land-based sport for those enduring knee pain, cycling is also an effective mode of transportation to and from work, the supermarket, or a friend’s house. You can start slow if you’re recuperating from ACL injuries, such as by biking around the neighborhood or in the park. As you gain strength and endurance, you can extend your distance and speed – eventually entering road races if you really start to get into it. This is usually underrated because you walk everywhere – to work, through a supermarket, down the street to the neighbor’s, etc. 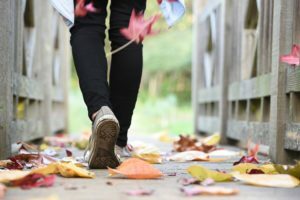 However, if you make walking part of your exercise routine and use it as a way to keep fit, you’ll find yourself looking forward to it, especially if you’re recovering from ACL injuries. In fact, as you get into it, you could find yourself on a moderate trail in the woods, which can be an excellent type of walking that’s good for your knees. Wait – before you say, “My knee pain isn’t so bad that I need a wheelchair!” Stay with us for a moment. Engaging in wheelchair sports, where you remain seated the entire time, provides a challenge that you may have never considered. While keeping off your knees, you can play wheelchair soccer, basketball, hockey, or even volleyball. You might find that being confined to a wheelchair to compete in your favorite sports is a unique way to keep those competitive juices going while not worsening your knee pain. We’ve narrowed down some of the toughest sports on your knees, so if you have knee pain or are recovering from an ACL tear, we strongly advise avoiding the following (listed in no particular order). There’s no “one-size-fits-all” treatment for your knee pain. A variety of factors go into which treatment can benefit you the most, including your age, overall health condition, recovery goals (i.e., living without pain, playing competitive sports, etc. ), and the extent/history of your injury or injuries. Learn more about knee pain procedures at WebMD.com. Orthopedic surgeon Steven W. Meier, M.D. and his staff in Beverly Hills are experts in helping you deal with your knee pain, among other orthopedic conditions. To learn more, contact our office to set up a consultation today.